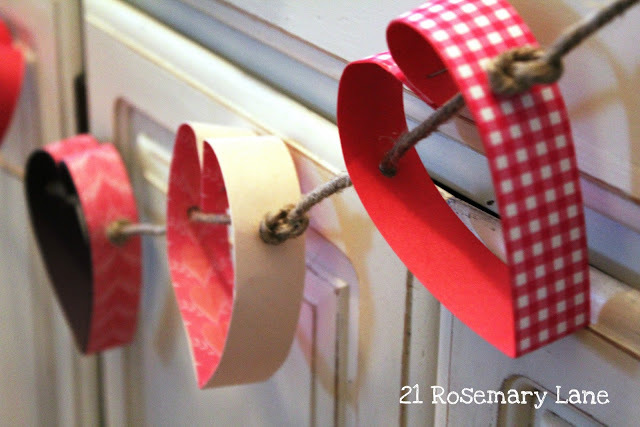 A few years ago I created from construction and printed paper, a sweetheart garland for St. Valentine's Day. 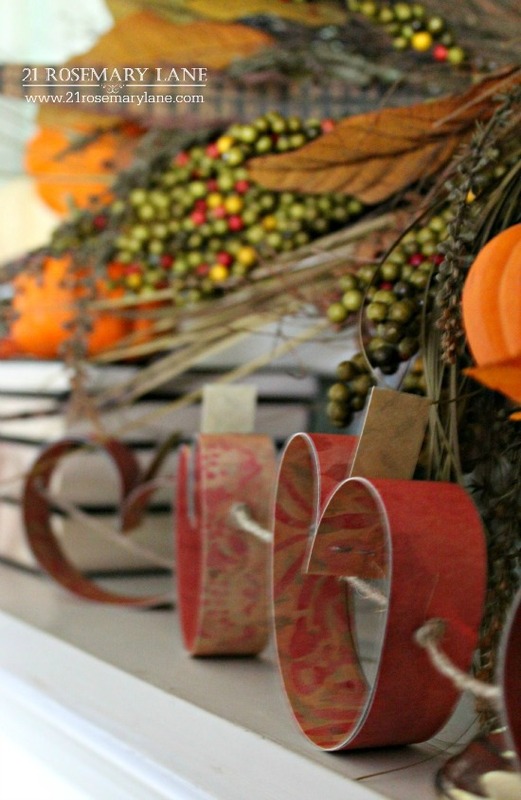 Using the same idea and card-stock paper instead of the other paper types, I made a pretty pumpkin garland for my autumn mantel. Take two of the cut strips and and place them together with complimentary sides facing out. Bring the four ends together and slip a green strip into the middle. Staple them all together. 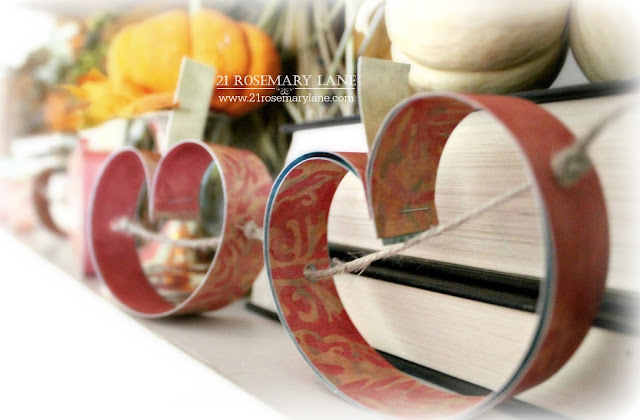 Next, punch a hole in both sides of your pumpkin and thread through the jute. Tie knots on either side of the pumpkin's holes to prevent the pumpkin from sliding. Super cute Barbara. This is unique and looks great on your mantel. super cute, Barb. love those little stems! Really cute!! 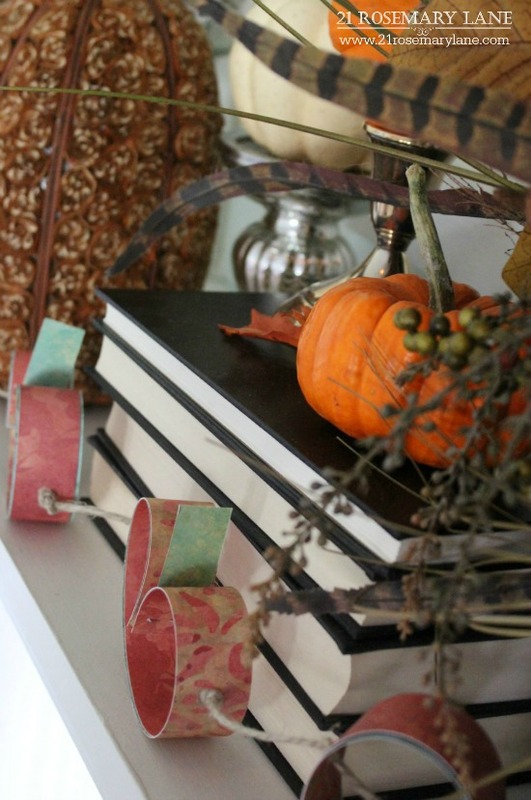 There are so many adorable ideas for garlands these days. I need to get on the ball and make some. This one is fun! 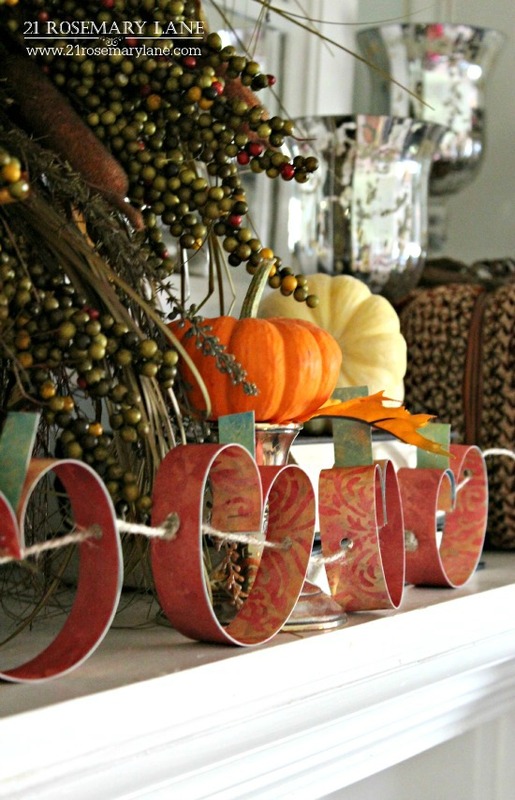 Really cute and makes for an adorable garland! 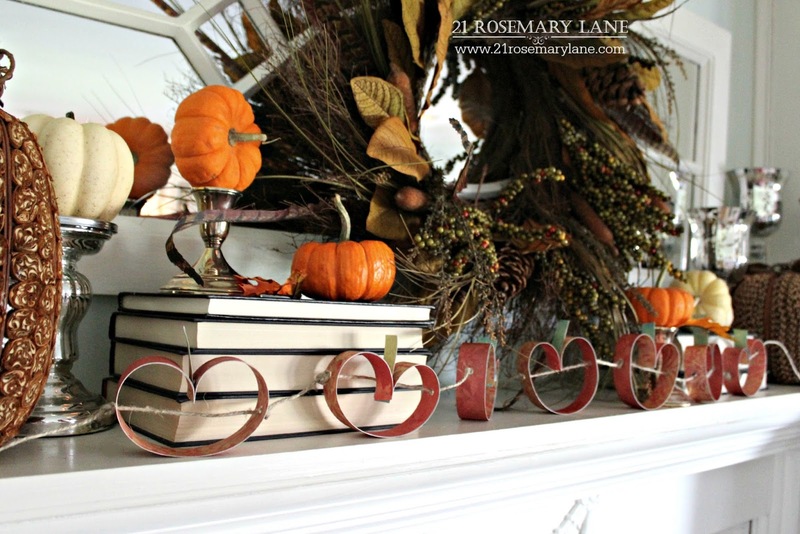 Great mantel! It looks unique. Great job! Thanks for sharing. Love your choice of papers!!! 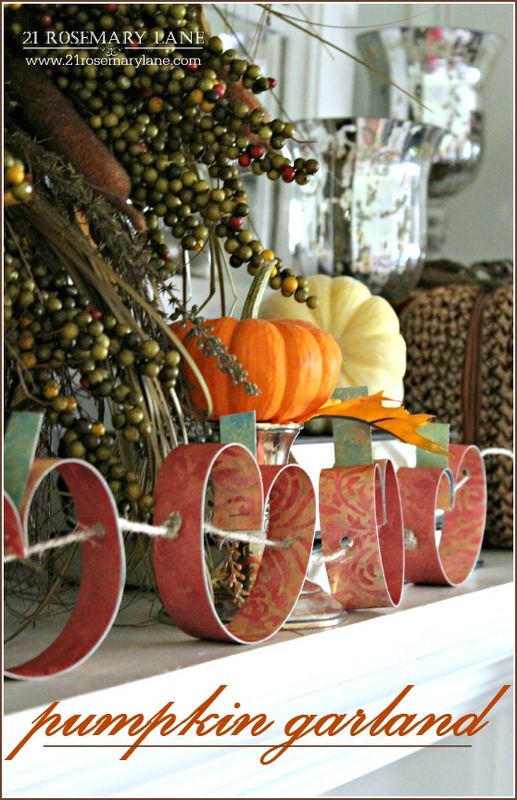 Thank you for sharing this clever, easy pumpkin garland!!! 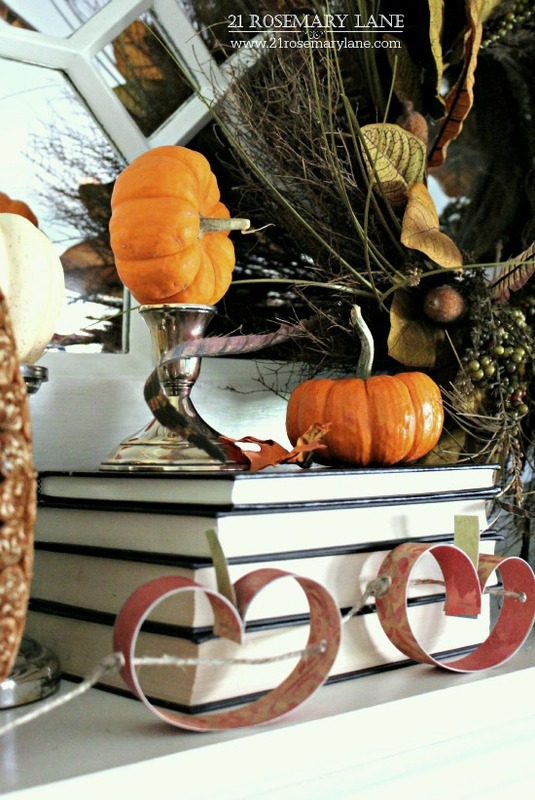 I just love your pumpkins! 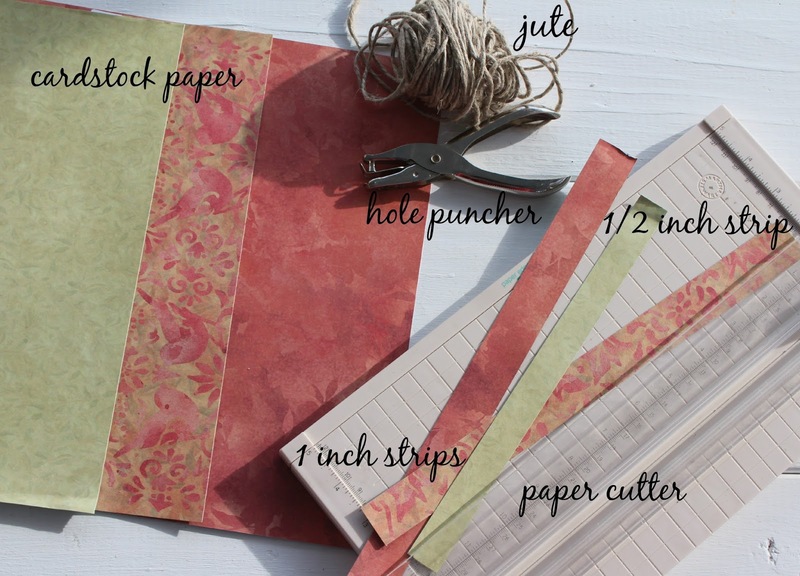 So creative, yet so easy!